Oconto Falls Municipal Utilities held a food drive during the month of October. Customers that donated 4 or more non-perishable/non-expired items were entered into a drawing for a gift of energy saving items from the Utility. 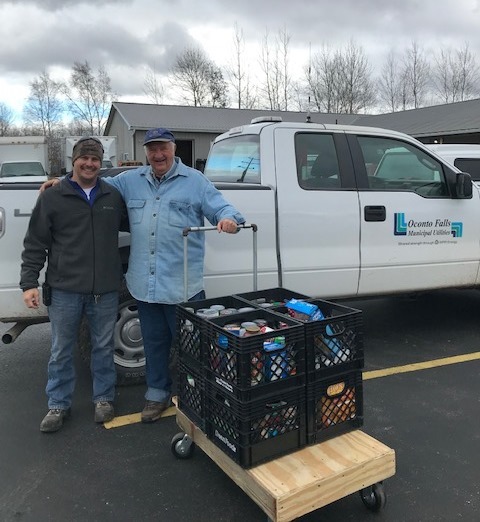 Pictured is Greg Kuhn, Utility Manager, delivering the pantry donations to Kingdom Come Pantry Volunteer Dave Klopotek.